THE TECHNOLOGY: DIRECTING THE FUTURE. There are no compromises during production. 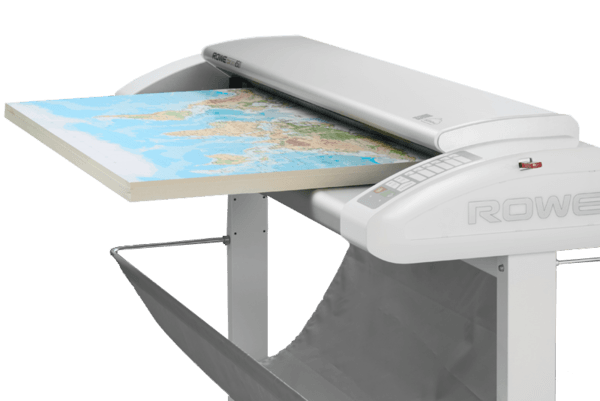 The ROWE Scan 850i wide format scanner is manufactured in one of the most modern production plants in the world. Thanks to their technologies ROWE SAFE GUARD, ROWE SAFE DRIVE and ROWE DOCUMENT IMPROVEMENT SYSTEM the new ROWE Scan 850i protects your originals like no other scanner before it. Not only the standard sRGB color space but also the user defined color spaces like Adobe RGB, or Device RGB are supported.